How do you review for a math test? Do you give a handout to the students? Do you review with a PowerPoint presentation? Do you have the students do the quick review from the textbook? Let's look at 3 ways to review for a test and help your students earn higher scores. Higher scores? Yes! It is possible to move your students into mastery during review after all the lessons have been taught. If you implement one or all of these techniques your students will improve their efforts on the test. 1. Summarizing and Note Taking. When students take hand written notes, they are reviewing key skills and remembering what is important. Do not give the students a short cut to taking notes. The one who does the work is the one who learns. If you're taking the notes and writing them for the students, that is called a handout. If you give them a fill-in the blank notes, that is called scaffolding. Make the students write their own notes. Note taking yields a 34 percentile gain (Marzano 2001). When students take their own notes they earn higher scores. Have them take their own notes with this FREE note taking organizer. Students write the math topic(s) and add main ideas and questions on the left hand column. Then on the right hand column, students add details about the main ideas and questions. At the end of the notes, students will write a summary of their notes in 2-3 sentences using their own words. 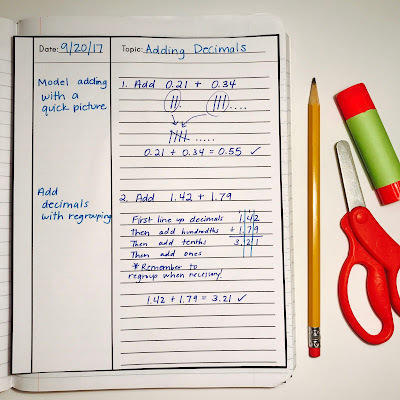 When students practice key math skills they need for a math test it helps them remember how to perform operations and apply mathematical procedures. Practice yields a 28 percentile gain (Marzano 2001). There are many different ways you can practice math skills. The 3 categories of math practice are: Retell, Recite, and Review. Students can retell what they've learned through making their own diagram or chart. Students can recite verbally what key concepts mean and how they relate to one another mathematically. Students can review key skills with similar math problems. Have students review in a mini booklet that keeps and records their practice. This can be done easily with a review booklet that covers all the math standards. Having a portable review also allows students to take it with them to review at home, take pride in their work to show their parents and guardians, and to be able to use it on a test as a quick reference. 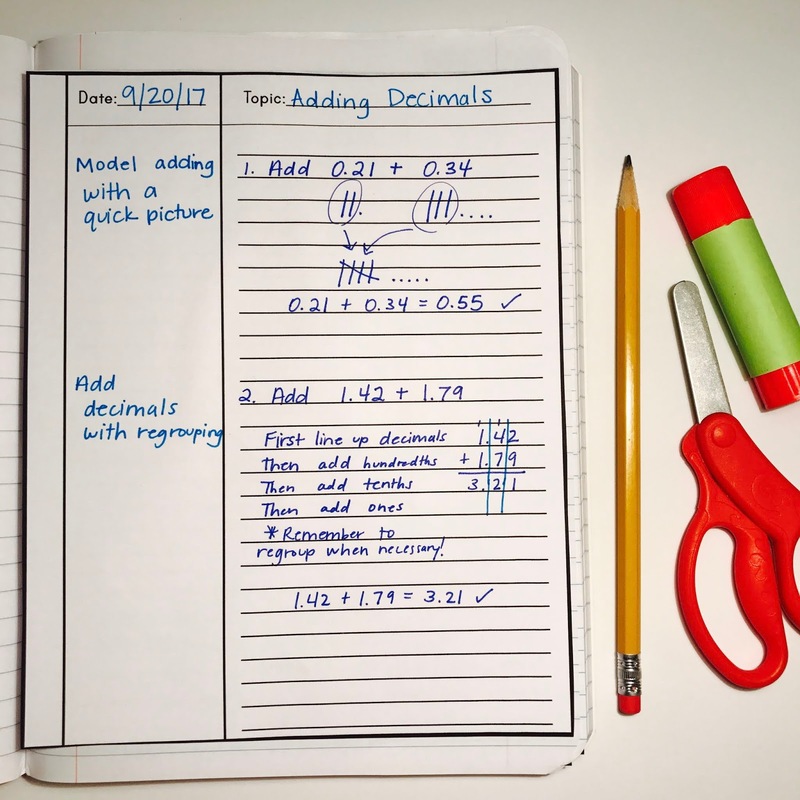 Giving students the opportunity to have a quick reference during the math test takes away the anxiety and reassures students that they know how to solve the math problems. 3. Have fun with Cooperative Learning! Getting students to work together can be fun and helpful in their learning process. Learning with others yields a 23 percentile gain (Marzano 2001). 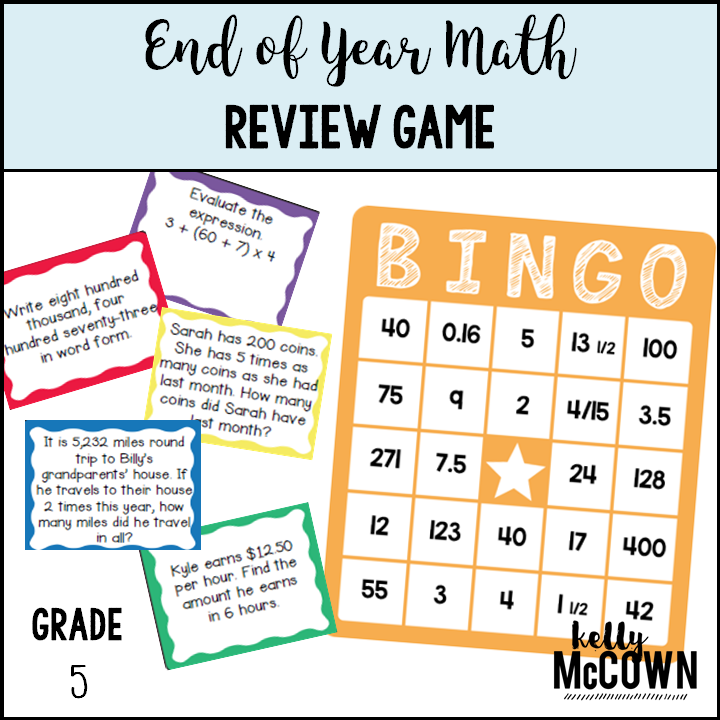 Review with a game, math stations, a project, or task cards. 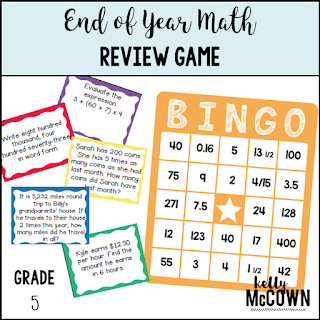 Students who review with a game are going to have fun and not be bored with another review. Make it exciting and play a Bingo game! BINGO is an easy game to implement and a high impact for students to practice key math skills. 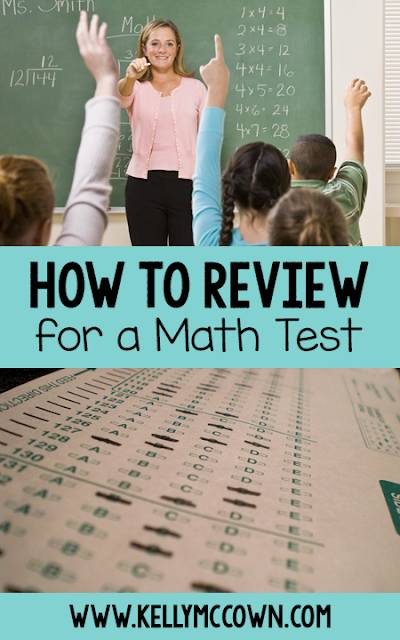 These 3 tips for how to review for a math test are a great starting point for the classroom. Use one or all three when your students are preparing for a math test. The statistics were from Classroom Instruction that Works: Research-based Strategies for Increasing Student Achievement, by Robert Marzano (2001). (Affiliate link). Research based strategies are easy to implement and provide a powerful approach to teaching. It is key that we are teaching intentionally for math mastery to occur.